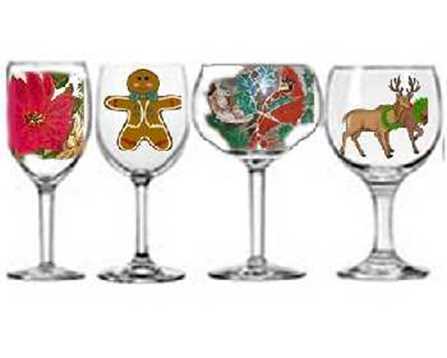 Hand painted Christmas wine glasses in delightful Poinsettia, Gingerbread, Red Bird and Reindeer designs are wonderful choices for your next festive Christmas occasion.There are so many great Christmas drinking glasses that it is hard to know which to choose. Why not have a set hand painted in each design.Checkout our dinnerware collections and serving pieces. If you decide on a holiday design we will gladly paint dinnerware to match. 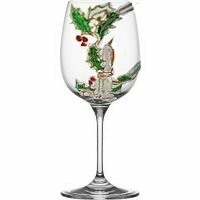 hand painted Christmas wine glasses that have unique festive designs. We also offer a wide variety of clear glasses to choose from; Christmas drinking glasses, for white or red wine, balloon style, martini, margarita, shot glasses, mugs and so more more. When ordering you get to choose which type of glass you would like. If you don't see a style email support@clearlysusan.com and I will gladly provide whatever you need. 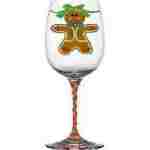 If you already have a particular design for your Christmas glasses that you would like for us to match we would love to paint that for you. I had the poinsettia wine glasses painted and they are just beautiful. The colors are brillant and etched in gold. Can't wait till the holidays to use. them. Thank you doing such a lovely job.